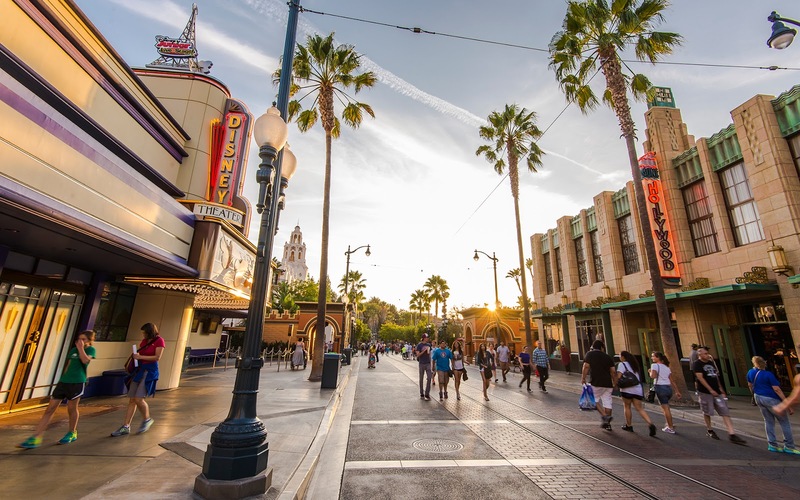 Hollywood Land has seen its fair share of changes and adjustments over the years--both in name, background story, and overlays. These moves have transformed an area originally presented as more of a movie studio backlot (and Disney Hollywood Studios copy) to something that calls to mind the golden age of Tinsel Town--a more elegant setting that emphasizes the glitz and glamour of showbiz. I've enjoyed this evolution to a more robust and weighted land, and although I think it can still benefit from another quality attraction, I do think that Hollywood Land definitely shines bright at DCA. Hollywood Blvd, golden against the retreating sun.